Embroidery has been a staple of Palestinian tradition and fashion for as long as people can remember. Fashion is now changing, but women used to wear beautiful embroidered dresses, each with their own village’s style and pattern. 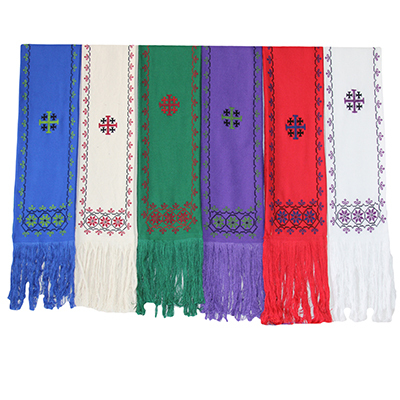 The women from Surif, a Palestinian village, have taken this decorative art form and applied it to this Clerical Stole. It is a beautiful gift to someone who will be ordained into ministry, or a special blessing to your local Pastor.